Can Tho (VNA) – The Asian Development Bank (ADB) wants to invest in the Mekong Delta city of Can Tho through preferential loans to health care, education and transport infrastructure projects. In a working session with the city leaders on May 10, ADB Country Director in Vietnam Eric Sidgwick said that Can Tho is a potential customer of the bank as it is a fast-growing city in the region. The city needs to balance public debt ceiling and make a list of priority projects as ADB’s loans will be given in descending order of preference, he highlighted, adding that innovative projects are encouraged to enhance the city’s competitive capacity. Meanwhile, Vice Chairwoman of the municipal People’s Committee Vo Thi Hong Anh said that the city is eligible to mobilise 150 million USD in loans during 2016-2020 and it can ensure payment on the debts. 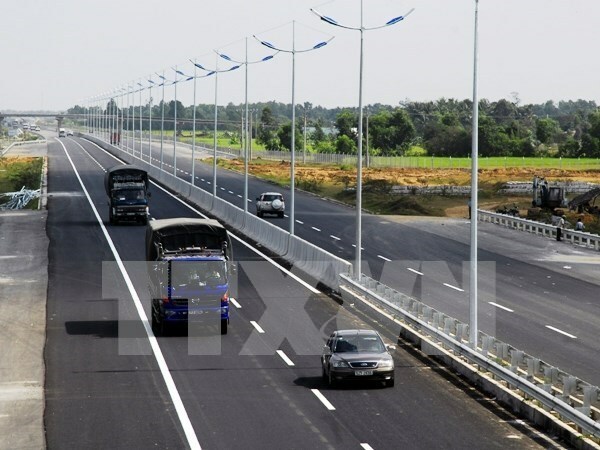 She stated that some projects using preferential loans in the locality have received positive feedback thanks to its contributions to local tourism and trade, including Can Tho pedestrian bridge, Cam Thi bridge and Can Tho-An Giang expressway.